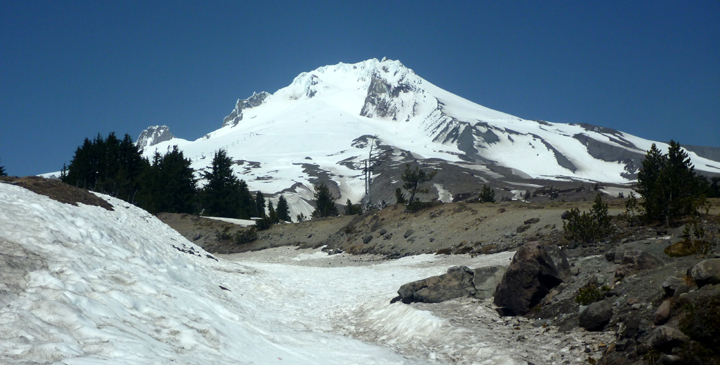 The forecast called for sun, but the reality was thick clouds, so we decided to wait another day to drive up Mount Hood. We pulled off the highway for lunch at the BLM’s Wildwood Recreation Site. Nestled at the base of the mountain, the Salmon Wild and Scenic River flows through Wildwood in the heart of one of Oregon’s most iconic regions. After lunch we enjoyed a lovely walk along the innovative Cascade Streamwatch interpretive trail. 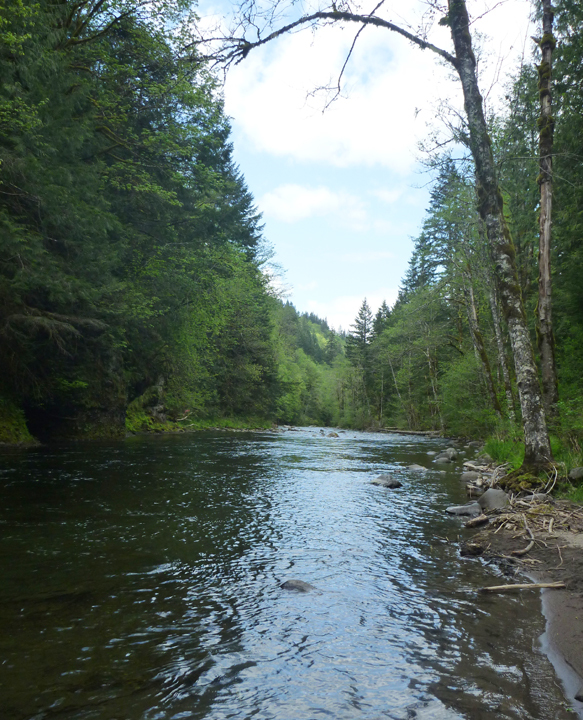 The Salmon River is the only waterway in the lower 48 states to receive the designation of a National Wild and Scenic River for its entire (33-mile) length. 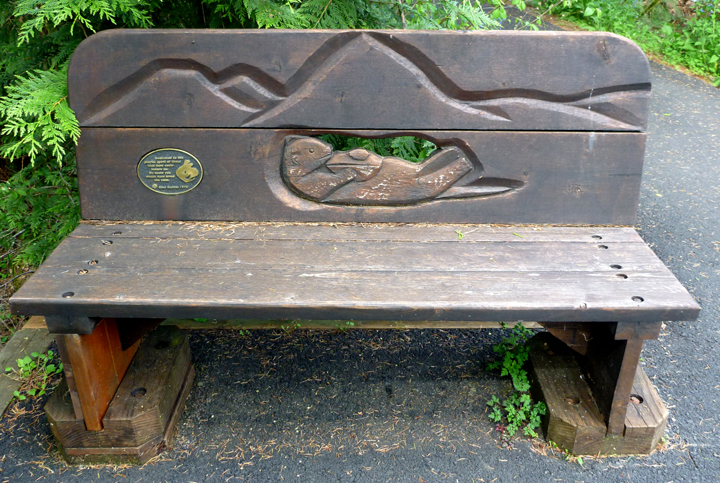 The pathways included several of these benches featuring different hand-carved creatures. Al got a kick out of the fine print on this sign. 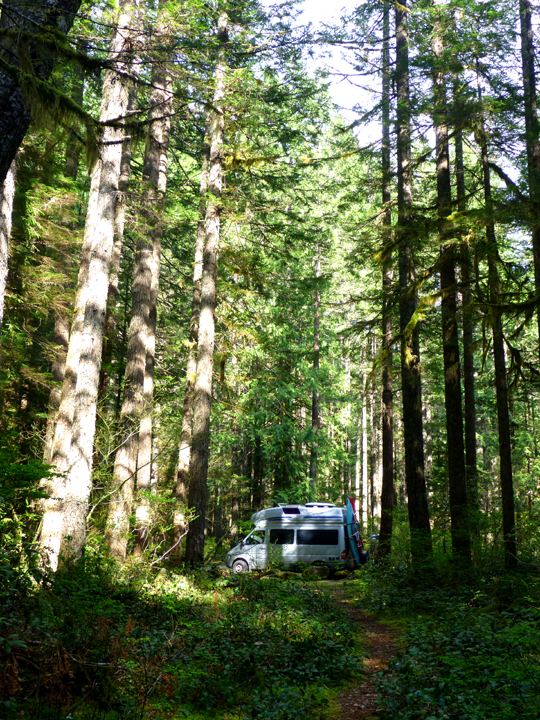 The campgrounds in the area were not yet open for the season, so we explored a few NFS roads to find a snug boondocking spot for the night. Waiting a day made all the difference as we had a beautiful sunny day for our ascent of Mount Hood to tour the remarkable Timberline Lodge. You may recognize the building from the opening scenes of “The Shining,” one of the scariest movies ever made (imho). 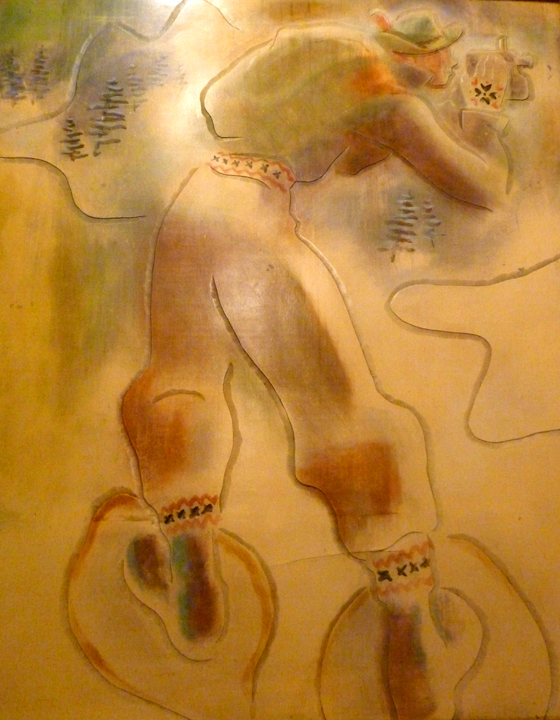 The lodge was constructed between 1936 and 1938 as a Works Progress Administration (WPA) project during the Great Depression. Workers used large timbers and local stone, and placed intricate decorative elements and fine art throughout the building. 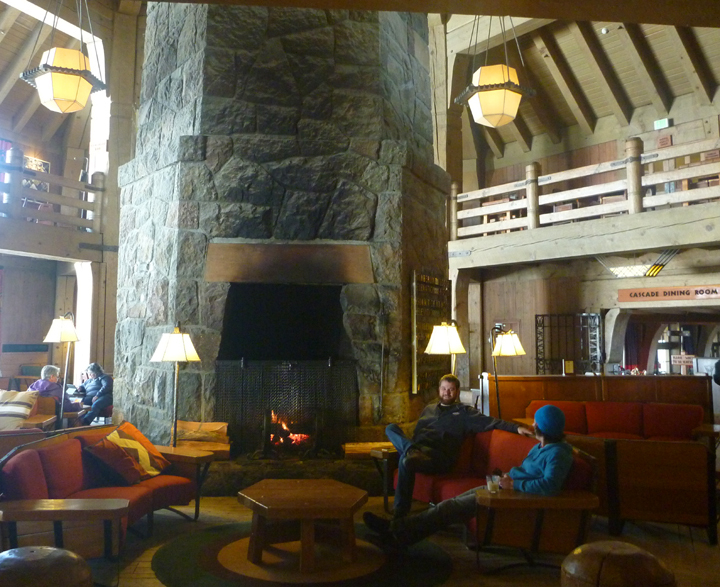 Visitors lounge around the massive stone fireplace on the original furniture built in the 30’s by local craftsmen. 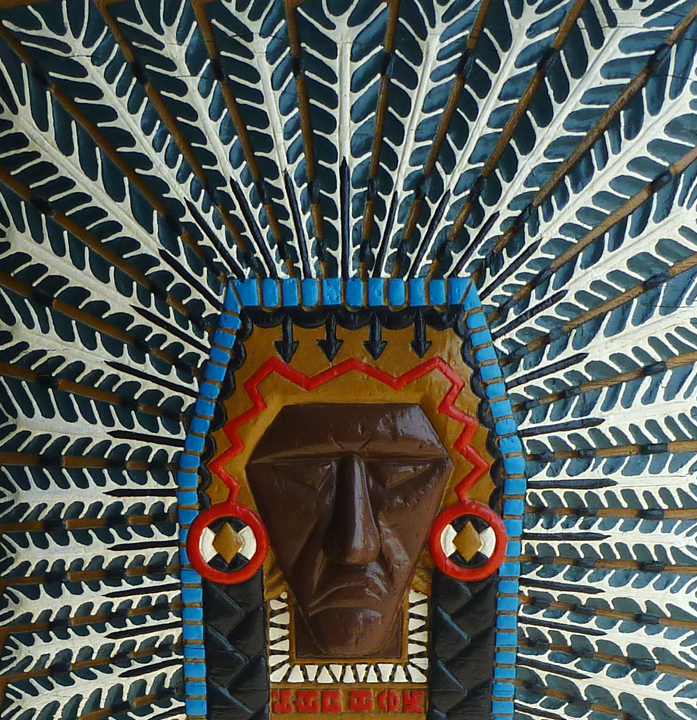 Wall murals made by carving and coloring linoleum. This one features a nature photographer. All the panels featured scenes from the area – inside and out. 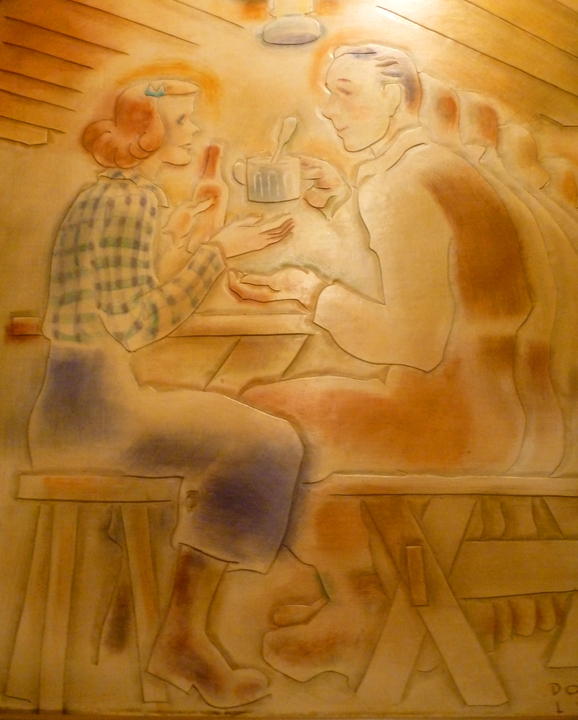 This one shows a couple enjoying refreshments in the lodge. 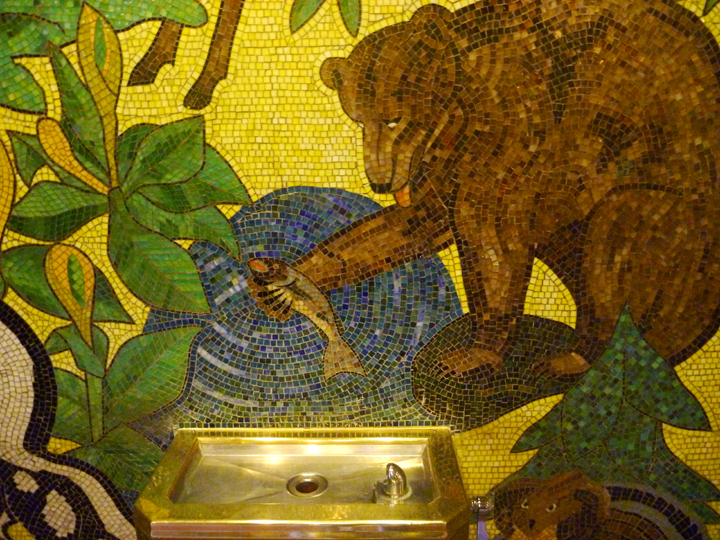 Detail of a mosaic around a water fountain. 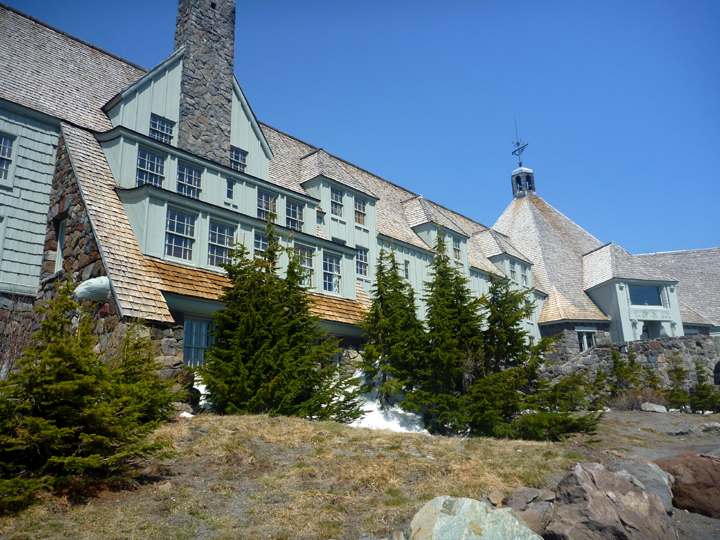 Timberline Lodge was closed during World War II and deserted in the early 50’s. 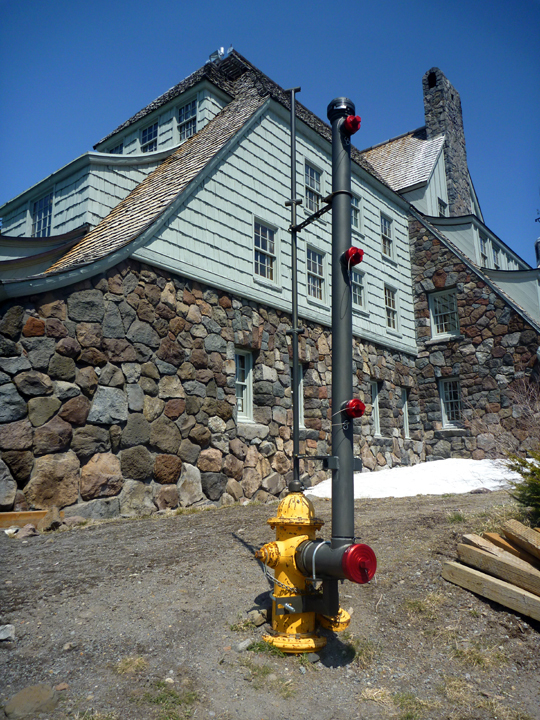 Fortunately Richard Kohnstamm rescued and restored the historic property, which his descendants still run the place today. 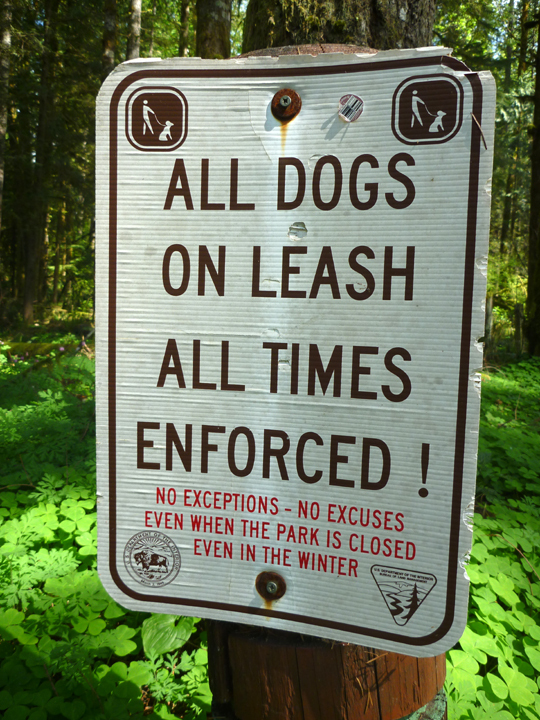 If you want to learn more, click here to see a video produced by Oregon Public Broadcasting. Never seen this before. Ready to fight fires even if they get ten feet of snow! 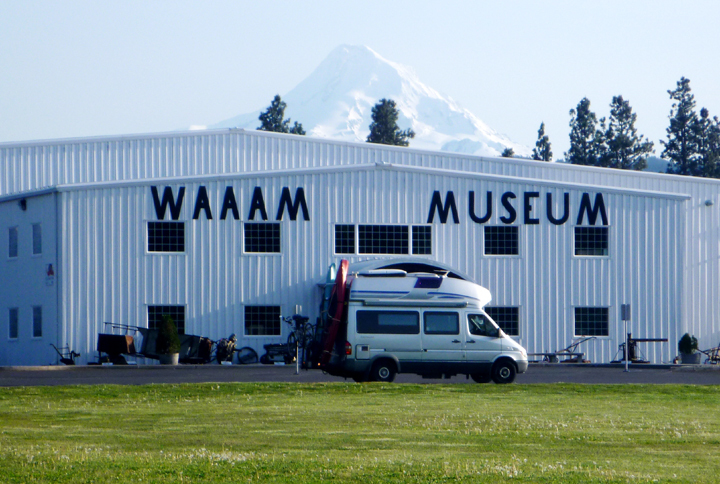 We completed the Mount Hood Loop Scenic Byway at the Western Antique Aeroplane & Automobile Museum in Hood River, OR. This was our second stay at this fun and friendly place thanks to our membership in Harvest Hosts. Last time we were at WAAAM, clouds prevented us from seeing Mount Hood in the distance. Hood River resident expresses his/her opinion proudly. The next night we stayed at another Harvest Host location along the Rattlesnake Wine Trail in Zillah, WA near Yakima. 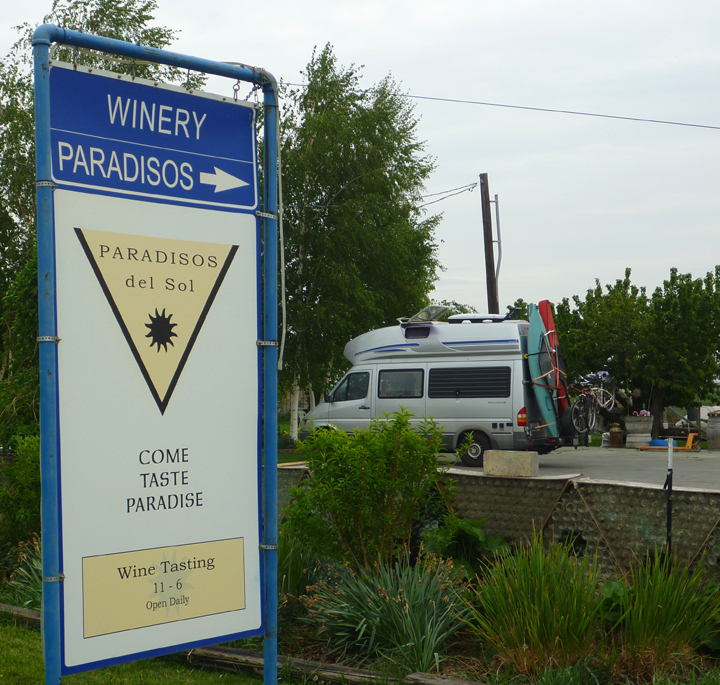 The tasting at the Paradisos del Sol was the first I had ever had individual food morsels served with each wine. 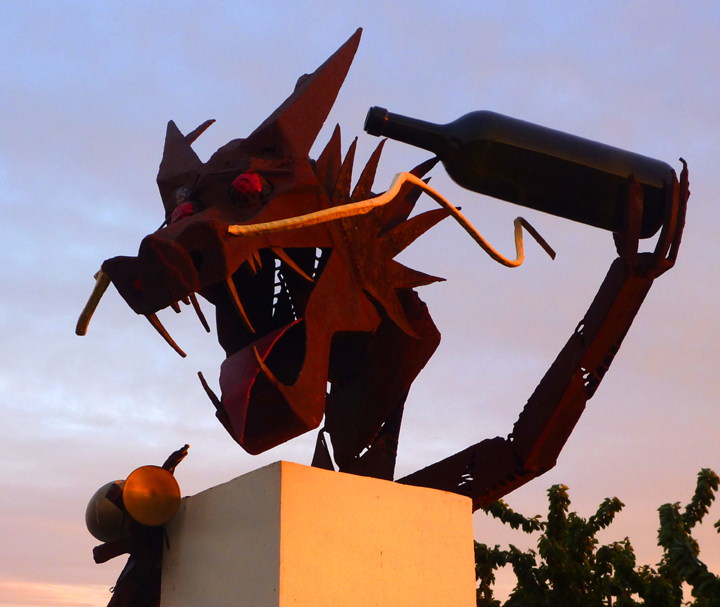 The winery has quite a cast of characters too. 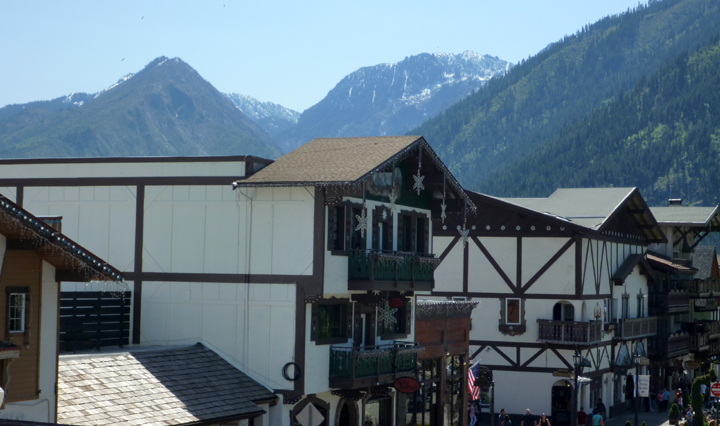 Our next stop was at Leavenworth, WA. It’s definitely a tourist trap, but kind of fun anyway. 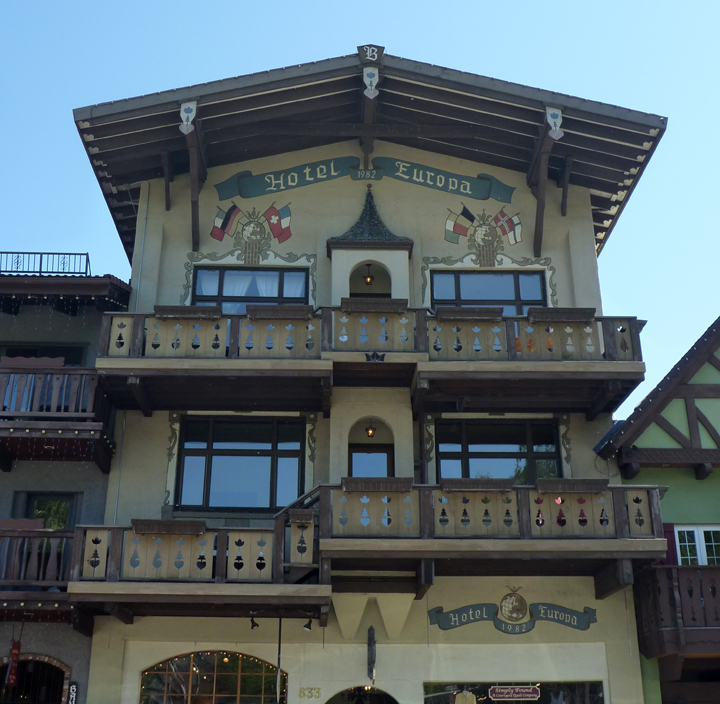 You understand why the town fathers decided on a Bavarian theme when you see it’s natural setting. We spent that night at Boondockers Welcome hosts Jack and Shirley in Wenatchee. They welcomed us warmly and we exchanged travel stories during happy hour on their back patio. 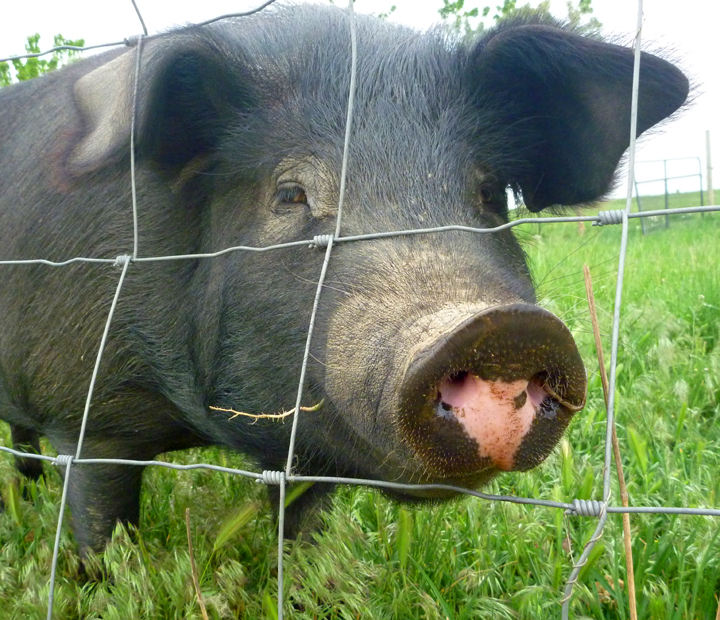 As I write this, we are back at our friend Janet’s home in Twisp, where we also visited last fall. Janet always welcomes us warmly and let’s us know that we are welcome to stay as long as we want, which we deeply appreciate. We are keeping an eye on the weather up north as we prepare for summer in Canada and Alaska. We will head up as soon as the average temperatures rise just a bit. 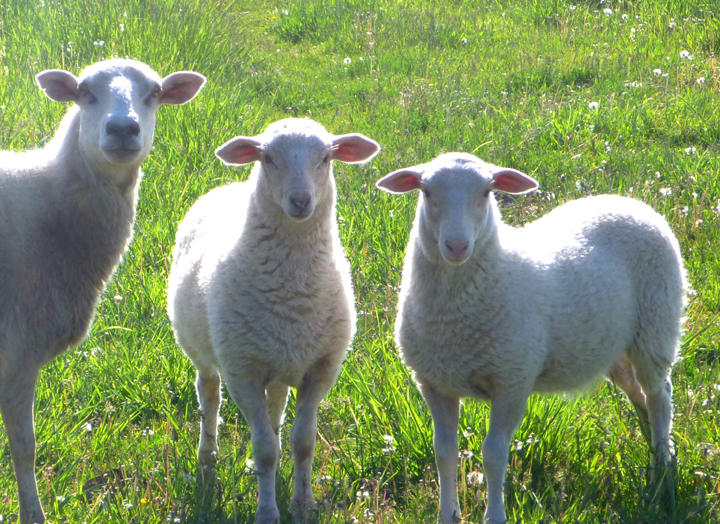 Love those fleecy pink-eared lambs! And of course all the amazing scenery—so many beautiful natural wonders.